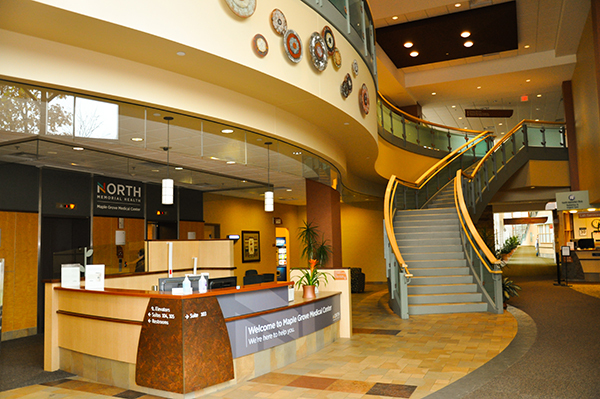 North Memorial Health at Maple Grove is more than just a hospital. It’s a destination with primary care, urgent care and a full range of specialties. And now, we’re excited to be expanding our specialties even more. North Memorial Health’s oncology program now offers genetic counseling and consults at it’s Maple Grove location, housed within the specialty clinic. It’s research-university-level care in a comfortable environment. Open Mondays from 8 a.m. – 4 p.m.
Open starting Dec. 11, but appointment referring and scheduling is currently available for medical and cosmetic skin care. Dr. Craig Roelke and Laura Stanz, PA-C will be at the Maple Grove location every other Tuesday upon opening. Now open Monday through Friday from 8 a.m. – 4 p.m. For more information or to make an appointment call 763-581-3680.